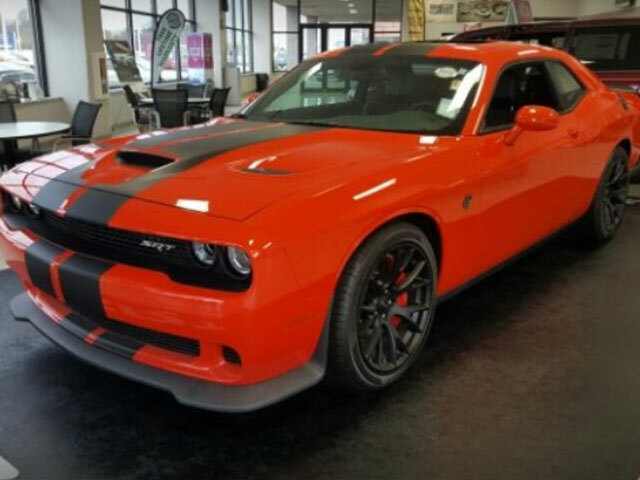 At Green Dodge and Ram, our service department offers specials on a wide variety of services for all Dodge and Ram models. Are you in need of a tune-up? Schedule your next service appointment online to visit our certified technicians at Green Dodge Ram in the greater Springfield area for your next Conventional, Semi-Synthetic, or Diesel oil change, tire purchase, brake pads, Cabin, or Engine Air Filter Replacement. 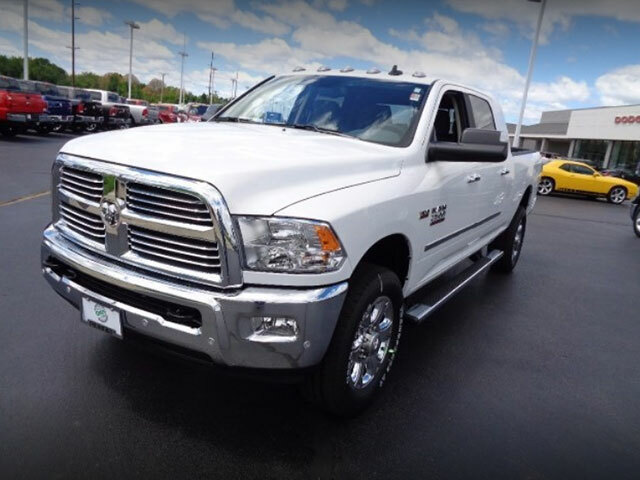 Our experienced Green Dodge Ram Mopar Service team members will help service your car, truck, crossover, or SUV without wasting your hard earned time and money. 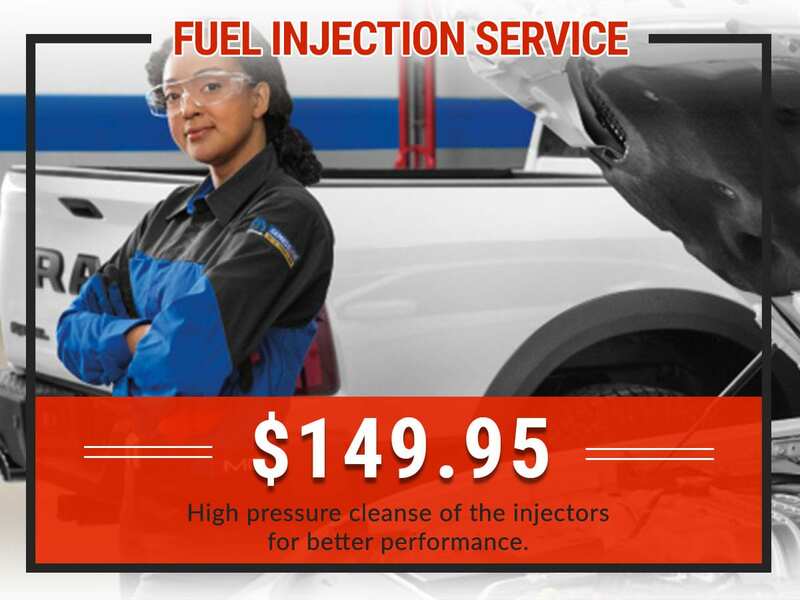 Take advantage of our valuable money-saving monthly service specials. 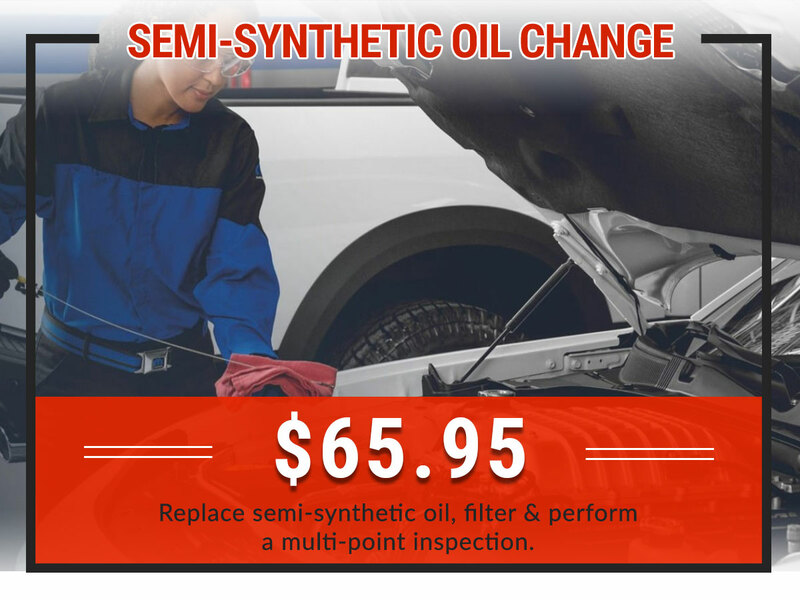 Replace semi-synthetic oil, filter & perform a multi-point inspection. 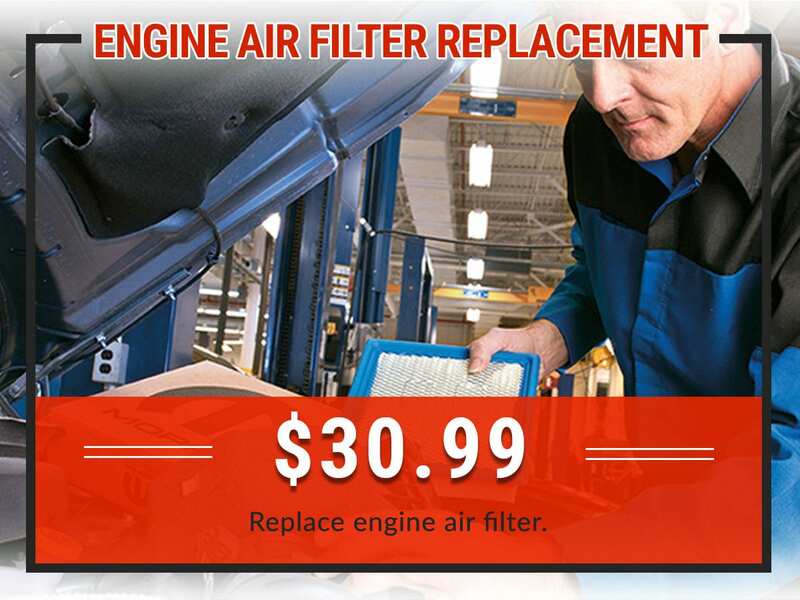 Replace conventional oil, filter & perform a multi-point inspection. 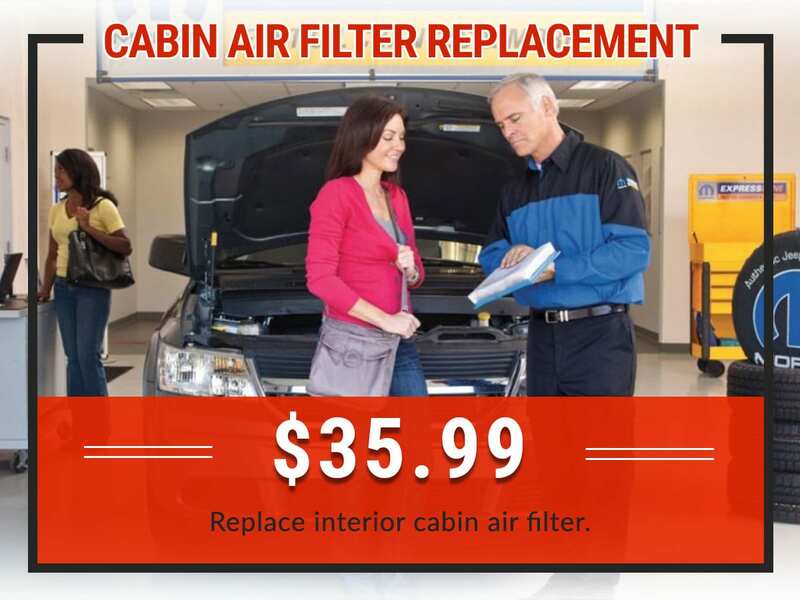 Replace interior cabin air filter. 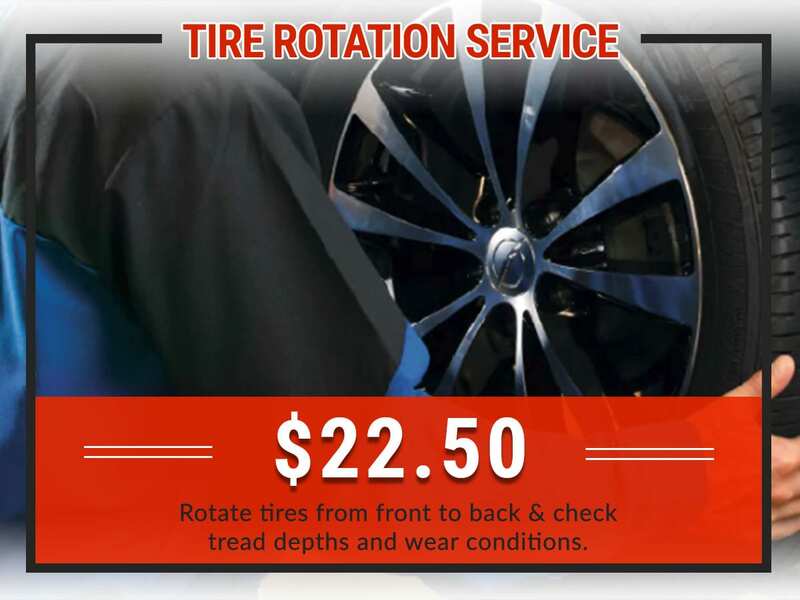 Rotate tires from front to back & check tread depths and wear conditions. High pressure cleanse of the injectors for better performance. 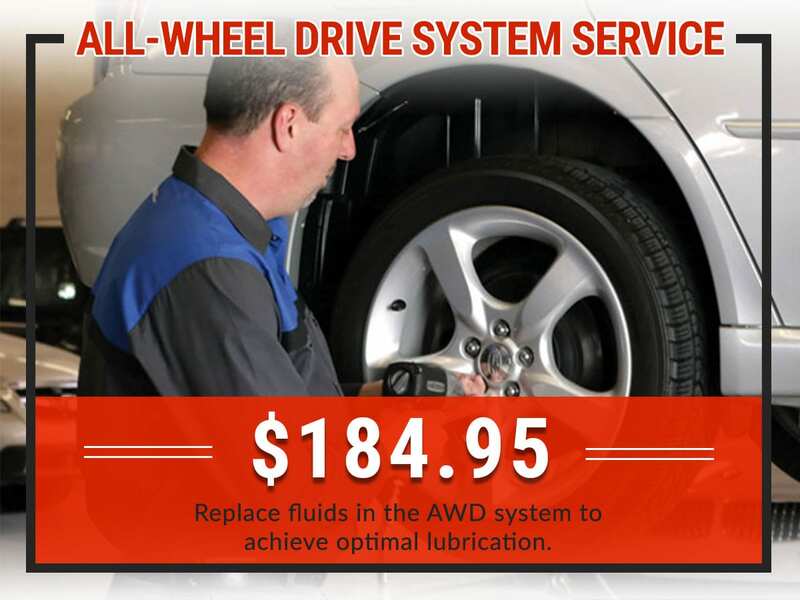 Replace fluids in the AWD system to acheive optimal lubrication. 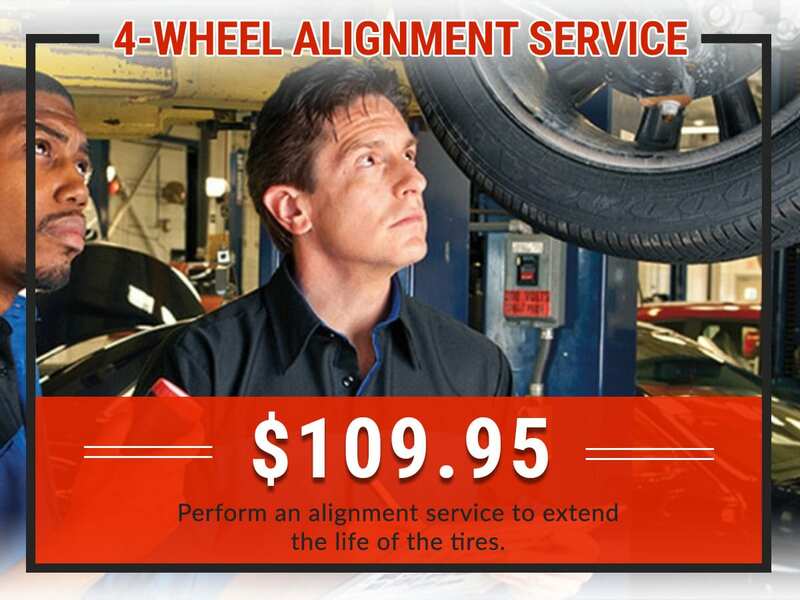 Perform an alignment service to extend the life of the tires. Replace engine coolant and flush debris from system. 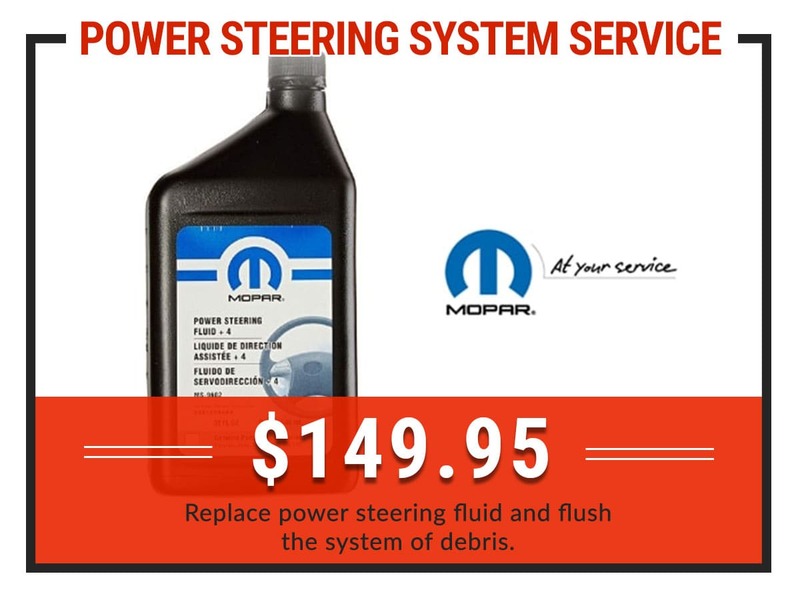 Replace power steering fluid and flush the system of debris. 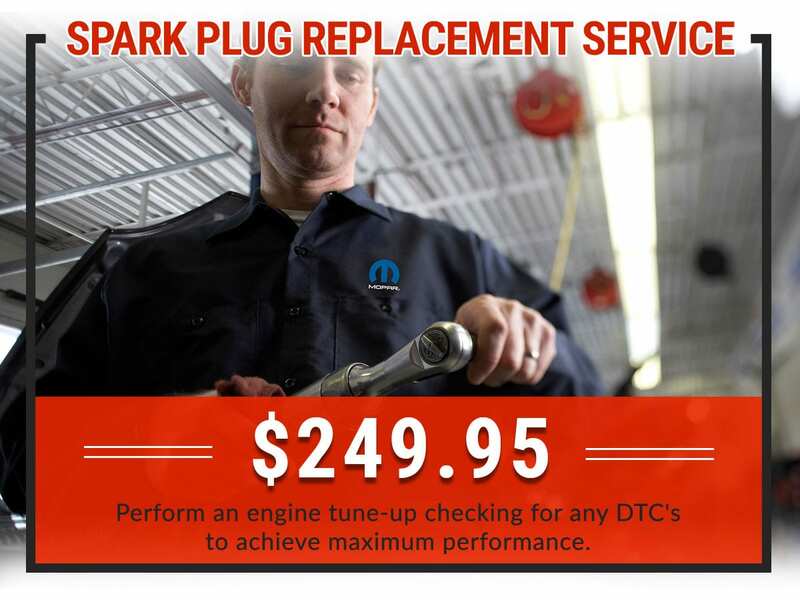 Perform an engine tune-up checking for any DTC’s to achieve maximum performance. 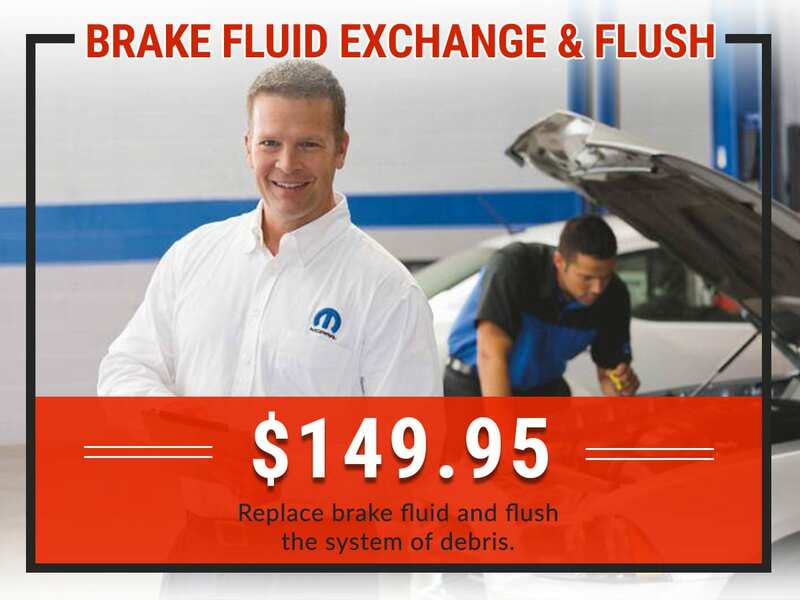 Replace brake fluid and flush the system of debris. 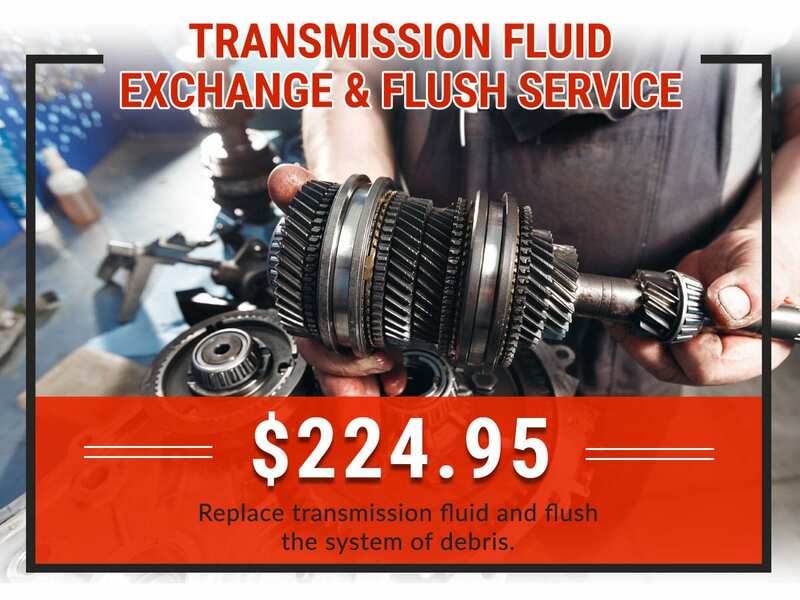 Replace transmission fluid and flush the system of debris. 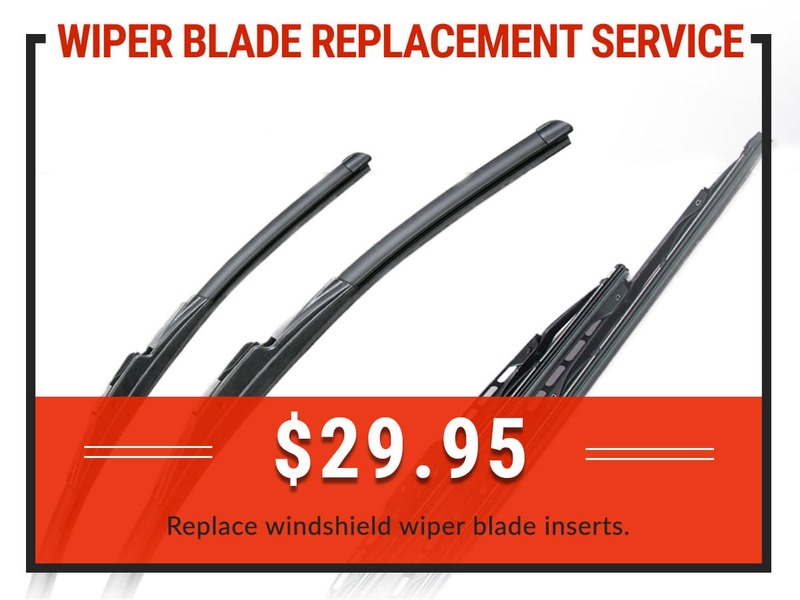 Replace windshield wiper blade inserts. Replace the engine timing belt and all needed components. 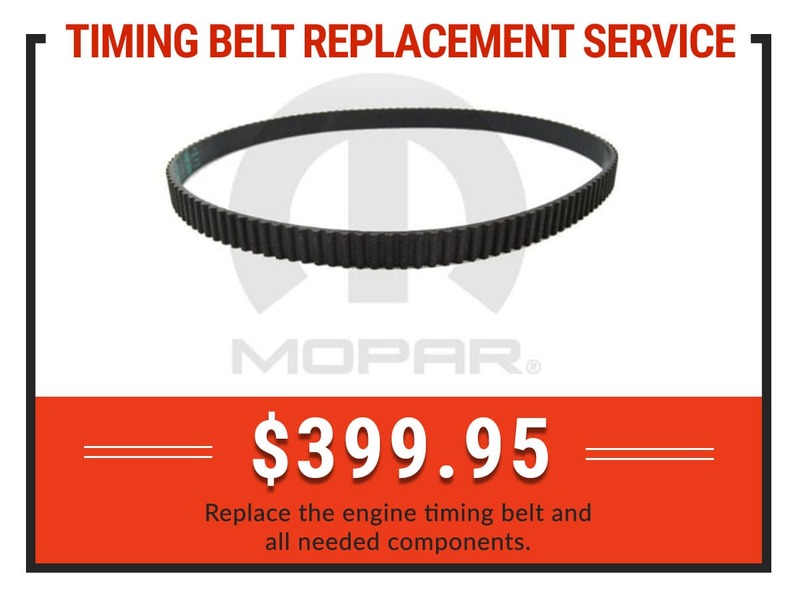 Save on your next oil change, tire rotation, or other routinely scheduled maintenance with the Mopar service specials and coupons available at Green Dodge. 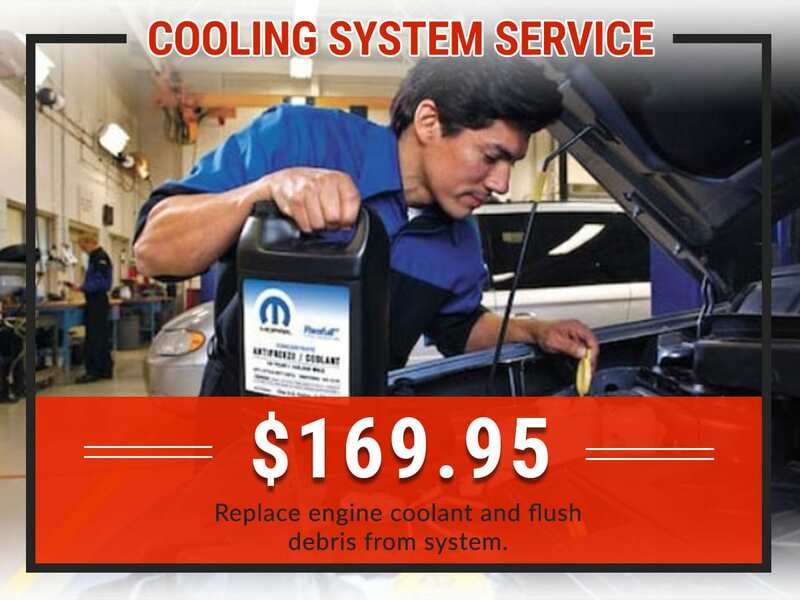 Our service specials for Decatur and Jacksonville drivers make vehicle maintenance more affordable, and you can count on our expert Mopar service technicians to keep your car, van, or SUV running safely in top condition. 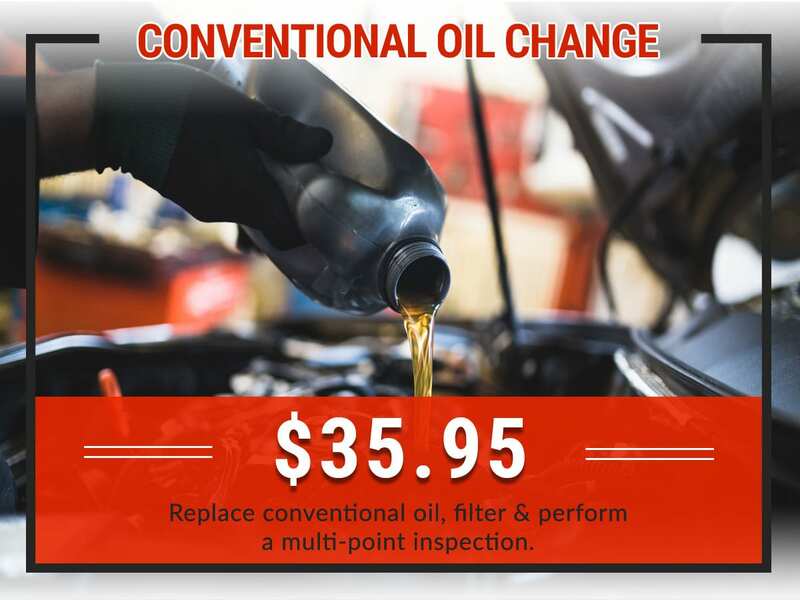 Explore our current service specials and coupons below, and check back every month to see our latest offers on the car maintenance you need near Springfield. 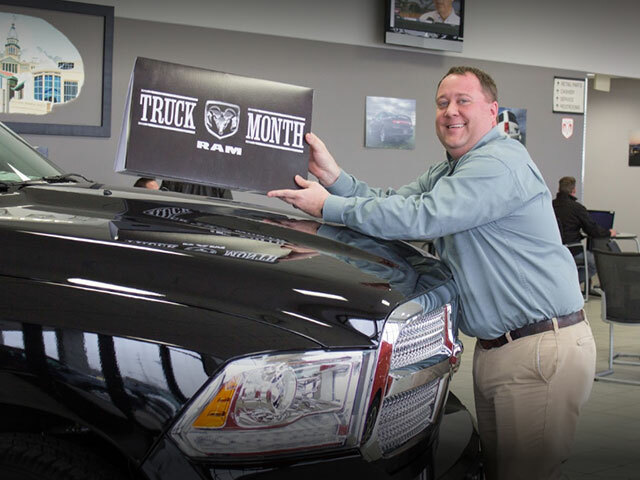 Certified technicians who are trained to maintain Dodge or Ram vehicles. Express Lane for fast oil changes and other routine maintenance. No appointment is necessary! 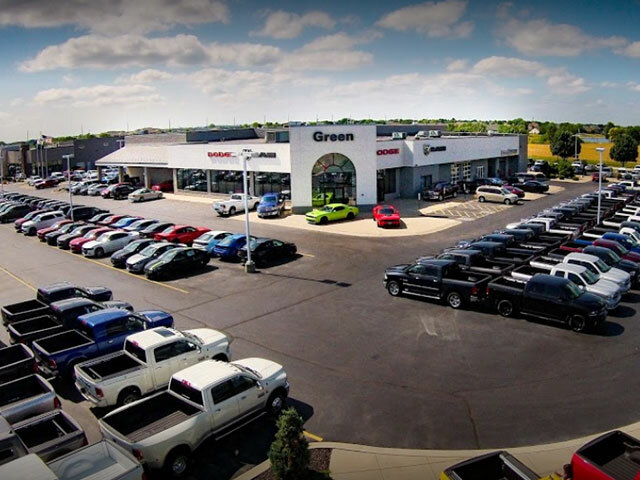 Put our expert service techs to work for you by scheduling a service appointment at Green Dodge today!